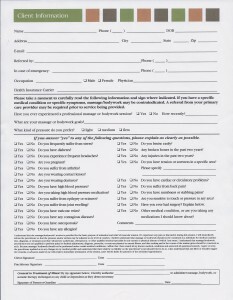 Please click on the form below to print the Client Information Form. Please bring the completed form to your first visit. We will spend the first few minutes of your appointment reviewing your history before we begin your massage.